In 1995, Molly Maid, Inc. Founder David McKinnon was home sick with pneumonia. For nearly a month, he and his wife, Karen, were home recovering as the televised O.J. Simpson murder trial began. The events described during the trial were an awakening about America’s most under-reported crime and unfortunate outcomes. 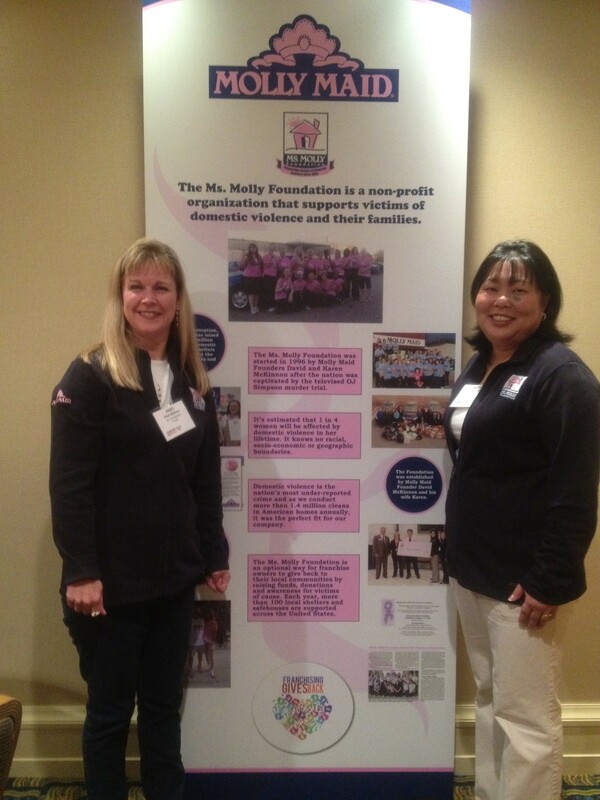 Over the next year, the McKinnons and Molly Maid franchise owners started the Ms. Molly Foundation, which is a non-profit charitable cause that raises awareness about domestic violence and support for its victims. Among national statistics, did you know? You can access the 2011 Census Report by State to find out how many victims requested and received support in your state. The report also shows needs that were unmet due to reasons including limited funding and overcrowding in shelters. In 2011, the Ms. Molly Foundation raised more than $223,000 and donated it to over 120 domestic violence shelters and agencies around the country. Franchise owners and Molly Maid headquarters’ employees hosted fund-raising events, solicited customers for donations, made personal donations and requested support from our vendors to bring the amount raised to $1.2 million since the Foundation’s inception. A majority of our activities take place during October, which is National Domestic Violence Awareness month. In 2010, we began our Dime-ond Level program and franchise owners can share a percentage of every cleaning throughout the year. The Ms. Molly Facebook page has photos and also shares recent publicity we’ve received. Franchise Association’s annual conference. Ms. Molly was one of six charitable organizations featured in their first-ever Franchising Gives Back event, which showcases franchise companies and their philanthropic efforts. This is how Molly Maid gives back, please comment and share your community efforts with us! To support the Ms. Molly Foundation, visit our website to make an online donation.